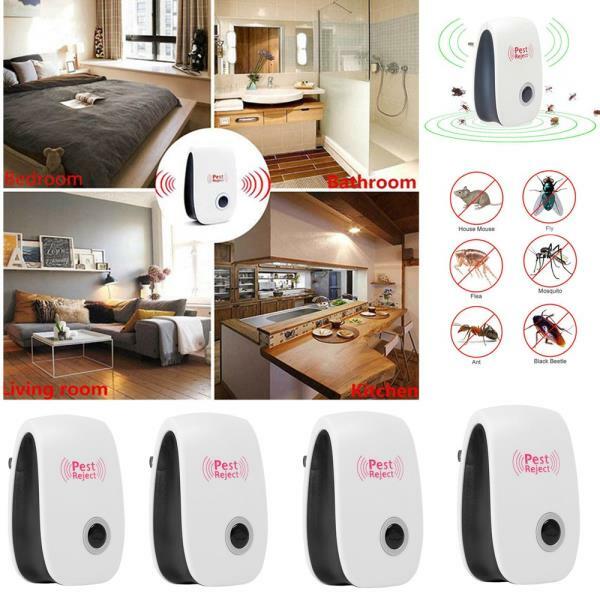 This ultrasonic repeller can act upon the hearing and the nervous system of the mice, rats and insects to make them unpleasant and uncomfortable and forces them to leave your home. It is effective for an area up to 100~150 Square Meters. This product is widely used in homes, warehouses, shops, hotels, hospitals, offices, rooms, gardens, hotels, etc. The ultrasonic frequency that sent out from this machine is inaudible to human beings and pets. It is absolutely safe for children, family and pets. All you have to do is plug it in and it will start working. This machine should be installed 20~30cm centimeter away from the floor and should be vertical to the floor and plug to the outlet. The installing point should be avoided to be in the back of the curtain, fridge, and any other furniture that deterring or attaching frequency. Within 1 meter shall not have a large obstacle (that is not installed in the refrigerator, wardrobe, sofa and other objects on the back). 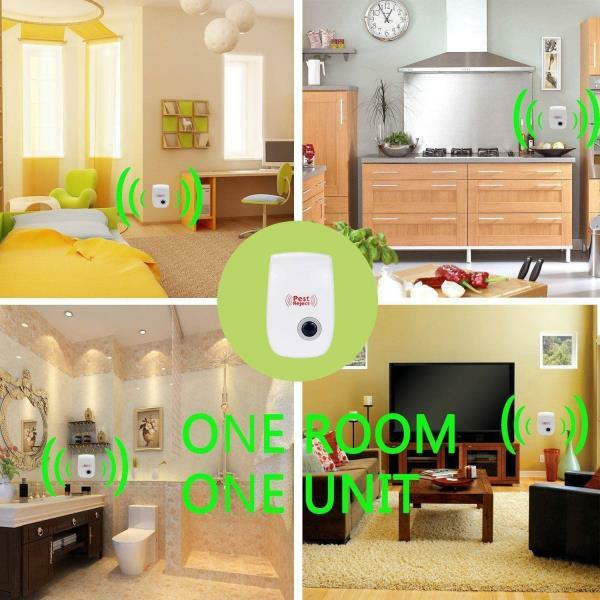 To increase the effect, you should use the several devices at the warehouse or several rooms. A total of 4 Ultrasonic Pest Repellers.